The Visual Artists’ Union of Romania is happy to announce the official release for issue no. 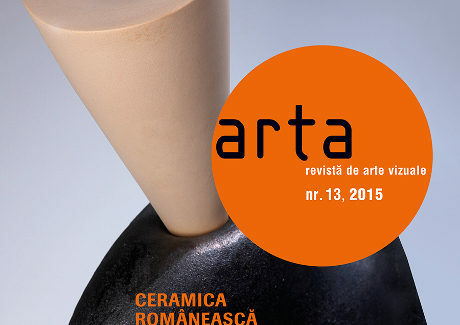 13 of ARTA magazine with Romanian ceramics theme. The event will take place on Wednesday, September 30th 2015, starting at 18.30 at the 4th floor of the Museum of Contemporary Art in Bucharest. On this occasion we will be officially launching the new website for revistaarta.ro that was designed by Modern Studio, with the help of The National Administration of Cultural Funds. At 20:00 you can enjoy a live musical performance, out of time / out of tune, by Diana Miron and Bogdana Dima in the museum auditorium. Based on the notion of entropy, the two musician will be doing a free improve using a laptop, a timely unstrung piano, voice, a violin and a home-made pluricord.